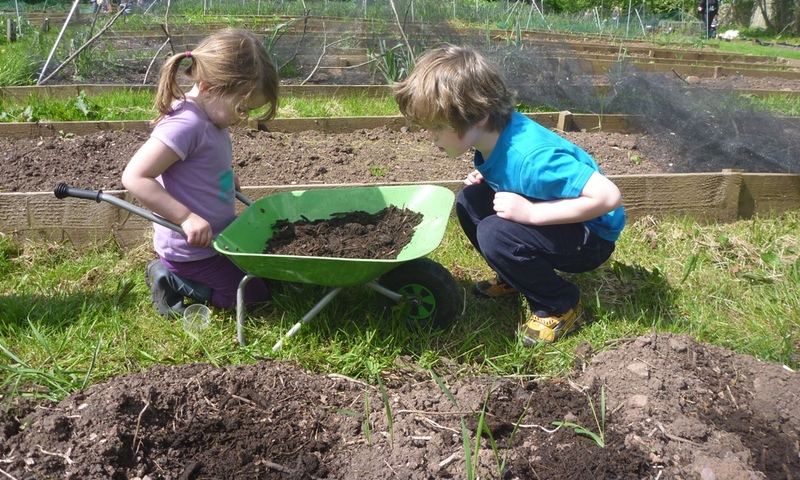 17th May 2016: Families of pre-school children in the north and west of Edinburgh are being offered a programme of free nature play sessions thanks to funding from Foundation Scotland and The City of Edinburgh Council. The first 8 week programme for pre-school children and their carers started on the 3rd May from Corstorphine Hill with a second programme running from Saughton Park each Wednesday. The free programmes are being run by environmental charity, The Green Team, and supported by the City’s Community Learning and Development Team. The aim of the programme is to give young children and their carers the opportunity to explore and make important connections with each other and the natural world around them through play. The group will take part in a whole host of outdoor activities and games in green spaces in their neighbourhood to encourage families to revisit the spots themselves and feel confident about taking play and family time outside. Current research1 suggests that immersing children in nature from an early age can offer significant benefits to their long term health and well-being, particularly if this happens with the involvement of a parent or key carer. If this becomes repeated behaviour over time then children are more likely to care for and respect the natural world around them and continue to hold a close relationship with the outdoors and the environment into adulthood. Families interested in taking part in the Saughton Park programme should contact Claudia Esslinger, at Tynecastle High School Community Wing: Claudia.Esslinger@ea.edin.sch.uk, 0131 337 3275. Families interested in taking part in the Corstorphine Hill group should contact Margon Van Tuyl, Education Officer at The Green Team: education@greenteam.org.uk, 0131 337 7227.